1. How your collaboration with JMJ started? A few years ago my label Infiné gave JMJ carte blanche to delve into the label’s catalogue and select tracks for a compilation. He chose 3 tracks of mine! I was moved. Shortly after that he asked me to join him on a radio show where he had been invited. Then we had dinner and got acquainted. I liked the man. 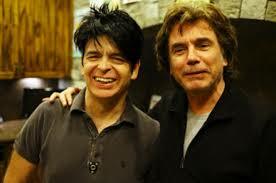 Later he came to see me live at the Trianon and L’Olympia. That’s when he first told me about his project of a collaborative album, and he offered me to take part in it. I immediately said yes. (Oh nice! I didn’t know about that.. thanks!!) The track is an epic one, it starts in a very “cinematographic” way (personally it reminds me of spaghetti westerns or films by Japanese film Director Kurosawa) then it evolves slowly to a more rhythmic track. 3. What was your role in this collaboration? You made the music, rhytms? Actually it’s a bit of both… JMJ came up with a very nice theme; I took it further in my studio; then he finalised it. 4. What was the process that JMJ and you followed in order to make the track? It was like playing ping pong. First JMJ sent me a very nice melodic loop around which I built a rhythmic track, adding a few melodic arrangements too. I sent him the result of my work which he finished by adding the bass line and the more dance floor part at the end. 5. Did Jarre send you just the track that will appear in Electronica 2 or did he send you more tracks to work on? No, just this one theme, we had regular contact so I started immediately with that theme. 6. How is to work with JMJ? 7. Have you known about Jarre before your collaboration? 8. If so, what is your favorite JMJ album and track? Have you attendend any Jarre concert? 9. You performed in Spain several times, last time in Madrid very recently. Do you like to perform in our country? I love it!!! I love Spain and I love the Spanish audience! I really hope I’ll get to play there more often! 10. Please tell us about your future projects. 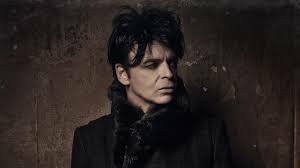 Gary Numan, the british electronic musician legend, kindly gave us this interview about his collaboration with Jean Michel Jarre on Electronica 2. Thanks a lot, Gary! I had an e-mail from Jean Michel, maybe two years ago, that outlined the project he was putting together and he asked if I wanted to be involved. I was very flattered to be asked. 2. Can you describe how is the track you made with JMJ? It sounds very Jean Michel, which is a good thing of course, but with a little bit of me sprinkled on top. Mid paced with quite a heavy electronic groove running through it with a big build towards the end. 3. What was your role in this collaboration? You made the music, the lyrics? Jean Michel came to me with the music already ready in demo form. I added a few little things musically but it’s essentially Jean Michel’s music. My main role was to come up with the vocal melody and lyrics, and the vocal itself of course. After Jean Michel had come over to LA to talk about the project in more detail, and to get to know each other a little better, he left me with the music he had done up to that point for the track and I just got on with it in my own studio. I would send him ideas as they were recorded and he would send back opinions and it evolved into what it is now. 6. Are you satisfied with the final result of your collaboration? Very. It’s always interesting working with another artists, especially one of Jean Michel’s legendary status, but you never really know if things are going to work out. I’m glad our track went well. 7. How is to work with JMJ? He is a very charming and entertaining man to be around but he knows what he wants, and what works. He pushes you quite hard to get the best out of yourself and he isn’t afraid at all of asking you to make quite drastic changes if he thinks it can be better. It was a great experience. His knowledge of current technology is very impressive and his awareness of what’s going on in music is quite remarkable. He understands the business very well, and still loves it. It was a real honour to work with him. 8. Have you known about Jarre before your collaboration? Of course. 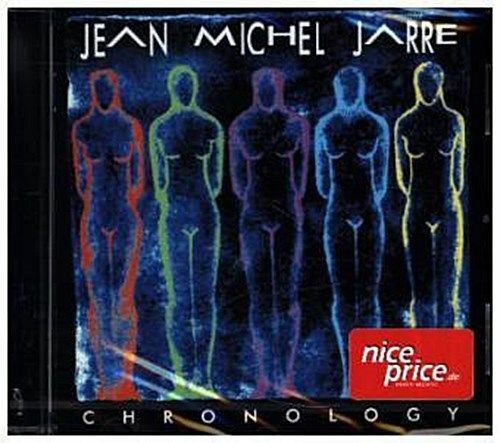 I’m often described as a pioneer of electronic music, as legendary myself, but Jean Michel was there long before me. He has earned a huge amount of respect from so many artists. 9. If so, what is your favorite JMJ album and track? Oxygene will probably always be my favorite as it was such a groundbreaking album and opened the doors to the potential of electronic music to so many people. It also opened the minds of so many creative people that were to follow. 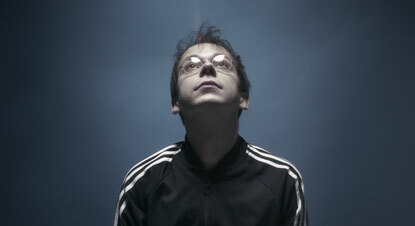 I have only heard one track of Electronica 1 so far, and nothing at all of Electronica 2, so I can’t say at the moment. 11. Are you going to play live your track with JMJ in concert or in your own concerts? That’s all to be decided but quite possibly. I won’t be playing live with new material until 2017 anyway so it’s quite a way off for me. It would be very exciting to join Jean Michel on stage though. 12. Would you like to collaborate with JMJ again in the future? He’s become a good friend in the course of working on the track, and he’s one of my favourite people, so it’s very possible. My family and I recently went to Paris to see him, and show support for France after the terrorist attacks, and he travels to Los Angeles regularly, so we do see each other quite often. 13. In the last years you have experimented a critical and commercial renaissance after a long period of being a cult artist. What is your feeling about this? It’s always exciting to see things building back up. My career was in a very bad position for many years but I was able to find my place again, find my musical direction once again. The music is now very heavy, a dark form of electronica merged with rock, so it’s not easy to reach out to the public with it. There are very few radio and TV avenues to promote my kind of music so it’s a constant battle but, each year seems a little better than the one before. 14. You are working on a new album and the fans even can participate in the process of making the album. Please tell us about this. I have my new album (unfinished for now) available as a pre sale on Pledge Music. It’s not crowd funded as luckily I’m financially secure but it is an attempt to release an album in a different way, at least in part. I wanted to have a more direct relationship with the fans, and I also wanted the fans to be able to follow the process of what it takes to make an album. The good days, the bad days, the stress, the euphoria, all of it. 15. In some interviews you talked about the asperger syndrome you suffered. How manages an artist so exposed to public to deal with that issue? In a way having Aspergers is an advantage in the music business. It gives you a high degree of focus, an almost ruthless determination,an obsessive degree of ambition, a desire for perfection, control, and an environment where being a little odd isn’t seen as a bad thing. I’ve never regretted having it, always been quite proud of it actually. 16. Have you ever performed in Spain? Sadly, I think my only time was at a Festival in Barcelona a few years ago. I would love to be able to play there more often. Perhaps when the new album is released we can look into that. 17. Please tell us about your future projects. The new album obviously is top of the list at the moment. I will be touring that album for about eighteen months to two years once it’s released, so most of 2017 and 2018. I’m working on a High Fantasy novel that ultimately I would like to see become a TV series, various musical collaboration projects beyond the one with JMJ, a side project album with a friend of mine from the UK, a book of children’s stories (although I have a lot of work still to do on that), the second volume of my autobiography, a documentary film and various other little things. 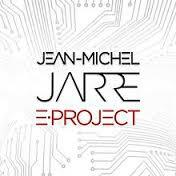 Eight years later from his last studio album, Téo & Téa in 2007, next October 16th 2015 Jean Michel Jarre will release his new album, with the working title E-Project. The release comes in various formats as standard CD, double LP, digital download and two box sets, one of them a deluxe box set handsigned by JMJ himself. E-Project will contain 16 tracks and 15 collaborators, as the likes of Gesaffelstein, M83, Vince Clarke, Armin Van Buuren and 3D (Massive Attack). More collaborators will be revealed soon. From today you can see the official videoclip of Glory (Jean Michel Jarre & M83), the first single from the forthcoming Jarre album. In this link you can see some insights about this video. 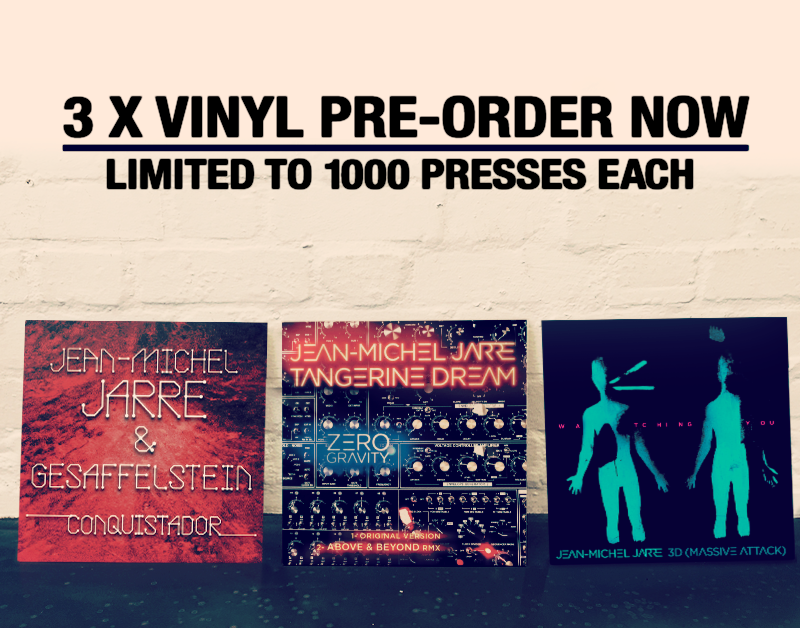 Next June 19 Jean Michel Jarre will release three limited edition vinyl (only 1000) of some new singles of his forthcoming (and yet unnamed) new album. Also you can hear excerpts of these new tracks on the official Jarre’s Soundcloud. 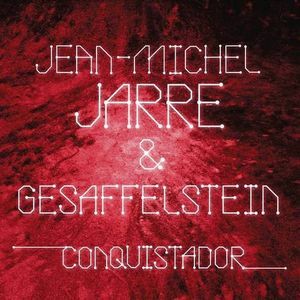 Last friday April 17th, and almost by surprise, a new single by Jean Michel Jarre and the DJ, musician and french producer Gesaffelstein was released on Beatport. This single contains the original mix and two remixes. You can already purchase this single via Beatport. Glory will be the first single of the forthcoming Jean Michel Jarre studio album (yet untitled and with non a clear release date by the moment). This track, made in collaboration with M83, is on iTunes on preorder. The single will be released next May 18th 2015. In the web of Sony Music Germany we can find info about Glory and a new promotional picture of Jean Michel Jarre. This is How the New Jean Michel Jarre Album Sounds! 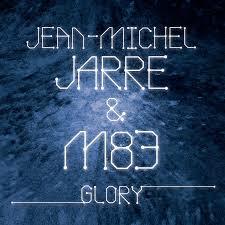 This is Glory, a song by Jean Michel Jarre and M83, excerpt from the forthcoming Jarre album. We can hear an excerpt of this track in the Time Capsule project of the Interestellar movie. A new batch of Jean Michel Jarre remastered albums were released this month by Sony Music Germany. The remastered albums are Chronologie, Waiting For Cousteau, Revolutions, Rendez-Vous and Zoolook. All these albums contains a redesigned booklet and some new notes. Please note that the Rendez-Vous album have errors on a few tracks, mostly on Rendez-Vous 2. Fairlight Jarre talked with Yakuda Audio (they made these remasters) and they told us that they will fix these errors very soon. Fairlight Jarre is a website made by the Spanish Jean Michel Jarre Fanclub, which started in 1995 as Fanzine and continued later as a website. They have been made 24 queries to database.